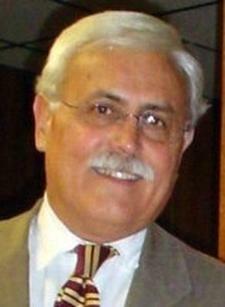 Armand Charles Grez Jr., 70, passed away on Tuesday, Nov. 4, 2014 in Louisa, Virginia. He leaves his wife, Andrea (Lindemann) Grez; his son, Armand Grez III and his wife, Kelly; his son, Aric Grez; his sister, Elena Kevenides; his brother, Gerald Grez and his wife, Ginny; four grandchildren; in-laws, Dorothy Lindemann, Carrol and Joe DiLustro, JoAnn and Ken Lindemann, Lorri DeBernardis, Tracy and Eric Bradford; nieces and nephews. 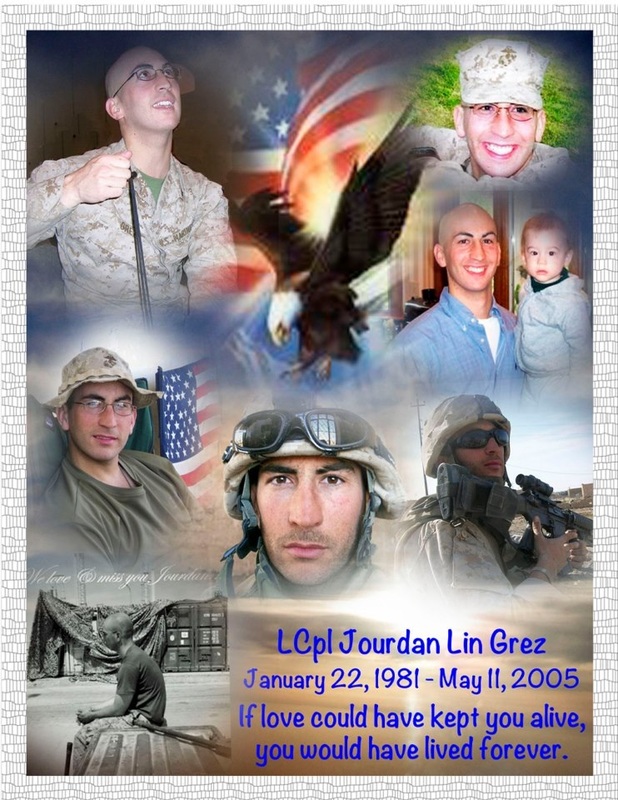 He was preceded in death by his parents, Dr. Armand and Helen Grez, and his youngest son, Marine LCpl Jourdan Grez. Prior to moving to Virginia, Armand lived in Spring Lake and Little Silver, NJ. He worked in the television industry for various TV stations across the country. In the 1970's, Armand owned and operated A's Inn of Deal and South Belmar, NJ. The family would like to continue Armand's efforts to honor the sacrifice of America's Fallen and to assist the families of wounded Veterans. In lieu of flowers, donations may be made in his name to The Eyes of Freedom Memorial (www.limacompanymemorial.org) or Fisher House Foundation (www.fisherhouse.org). A funeral mass was held at 11 a.m. Tuesday, Dec. 2, 2014 at The Church of the Nativity, 180 Ridge Road, Fair Haven, NJ. Hometown: Little Silver, New Jersey, U.S.
Unit: 4th Combat Engineer Battalion, 4th Marine Division, Roanoke, Virginia. 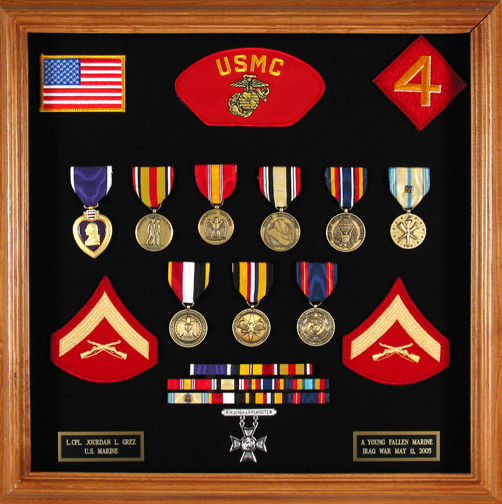 Marine Lance Cpl. Jourdan L. Grez of Harrisonburg, Virginia had a genuine laugh and joined the Marine Reserves to prove he was a worthy father to his young son. Born the youngest of three sons, he was a gifted artist and loved sports. Jourdan was trying to make it so he'd be able to give his son a nice future someday, a son he absolutely adored. He was a caring person who wanted to help others. After a car wreck killed a close friend in high school, Jourdan became a licensed emergency medical technician. He spent weekends working on ambulances around Richmond. He was killed when his amphibious assault vehicle struck an explosive device while conducting combat operations against enemy forces in Karabilah, Iraq at age 24.